Chris Michael is a senior attorney at Ball Morse Lowe. His practice is primarily focused within the energy sector, with an emphasis on title examination and the preparation of drilling and division order title opinions. Mr. Michael received his Juris Doctorate from the University of Denver Sturm College of Law, where he interned with the Colorado Attorney General's Office and served as a law fellow to the Chief Justice of the Colorado Supreme Court. 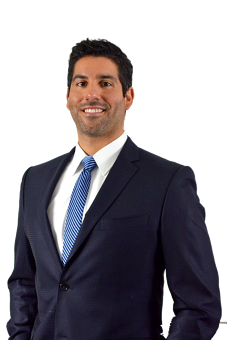 He began his legal career working at a prominent Denver litigation firm before making the transition into land work. Prior to joining Ball Morse Lowe, Chris honed his expertise managing the Rocky Mountain region of a national land services company, leading teams in title examination, land owner negotiations and leasing, and acquisition due diligence across Colorado, North Dakota, Utah, Wyoming, Ohio, and Pennsylvania. In his free time, Chris is an avid beach bum, mountain man, and musician.